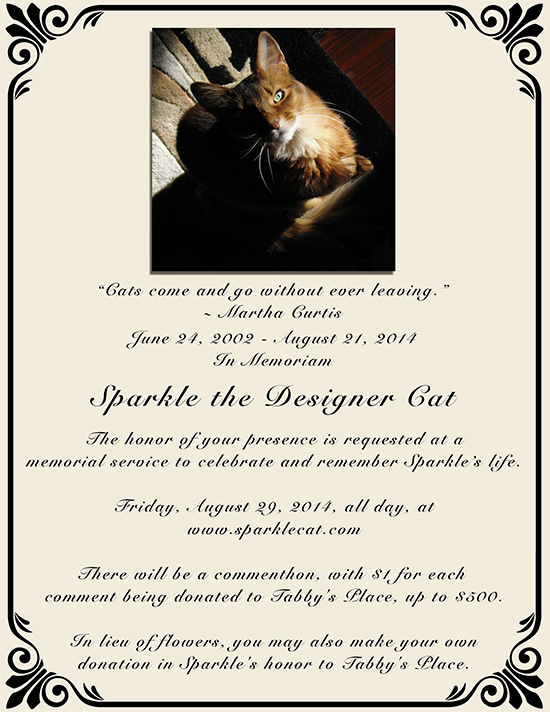 We are still very sad about our beautiful friend Sparkle the Designer Cat's passing last week, but we think this is a wonderful idea for honouring her memory. Please click here to donate to Tabby's Place. Thank you so much for sharing about Sparkle's memorial! we donated twice and we'll be there!